While I was expecting great wine in Napa, I wasn't aware that the region was equally famous for food. 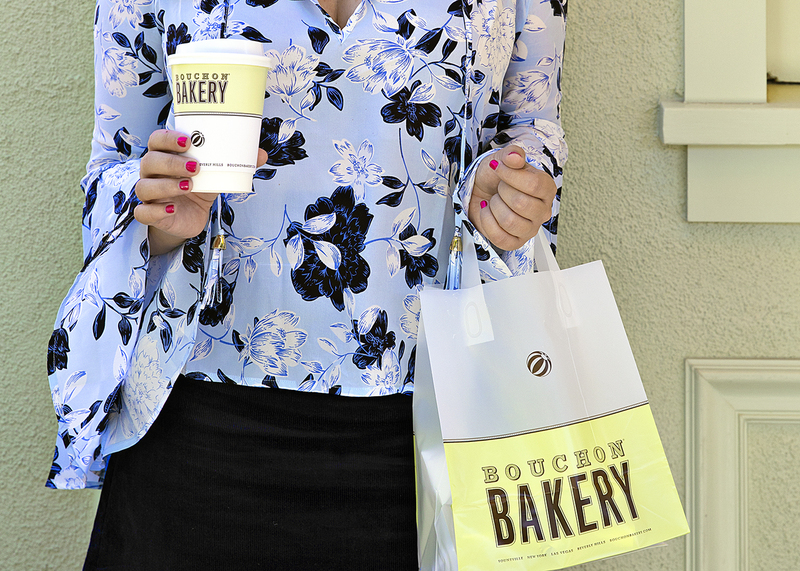 Yountville is home to several of the country's top-rated restaurants, like the famed The French Laundry, Ad Hoc, and Bottega Napa Valley. Since these are incredibly hard to get into, Emily and I opted for dinner at Solbar, which specializes in fresh, seasonal plates (and it was delish!). If you do want to try to get into these top spots, book early and research the best ways to do so. We were informed that The French Laundry accepts reservations exactly 60 days out and books within 15 minutes of opening reservations! Our wine guide recommended going through your Amex concierge if you have one... which I do not lol. But before dinner, we spent the day exploring the town. 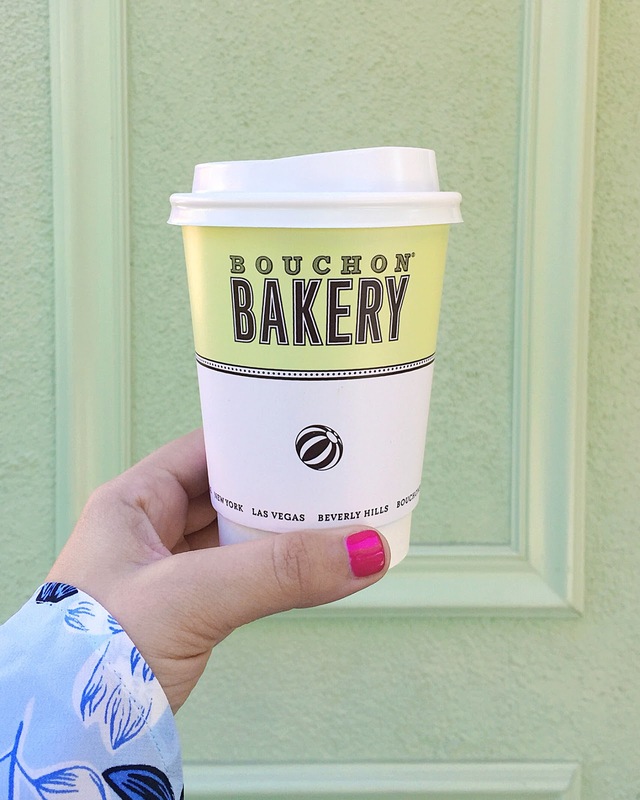 Naturally, our day began with a trip to the famed Bouchon Bakery. There is always a line, but it moves quickly and is worth the wait. 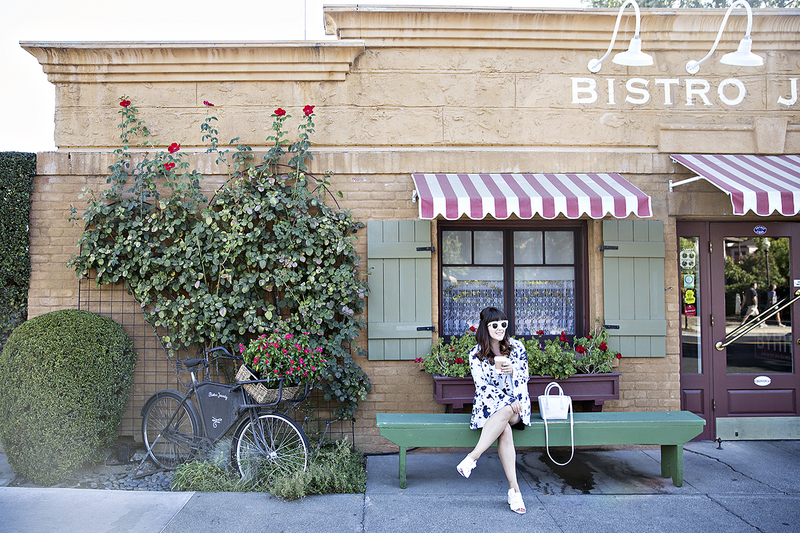 There isn't much "to-do" per say in Yountville. It is basically a place you stroll, shop, and eat, which are three things Emily and I just happen to be great at. 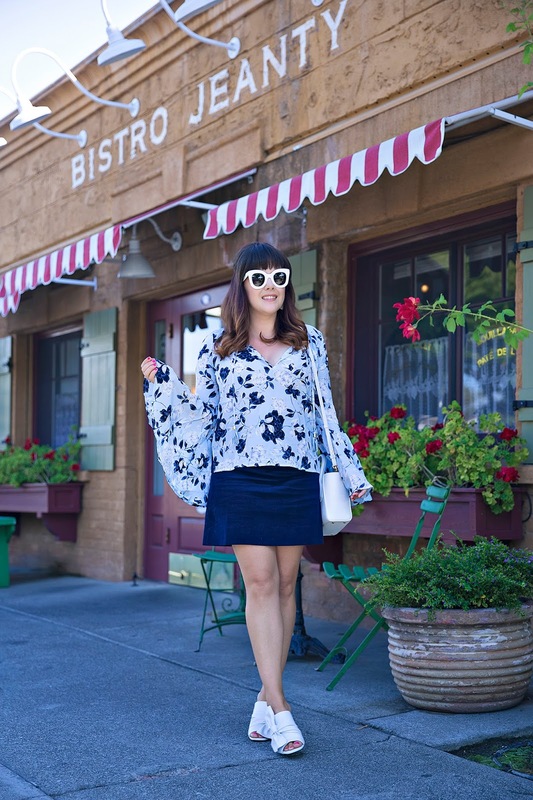 I wore this amazing Yumi Kim bell sleeve top, which is fittingly called the wanderlust top. It is so flowy and gorgeous, and comes in several great fall floral patterns. 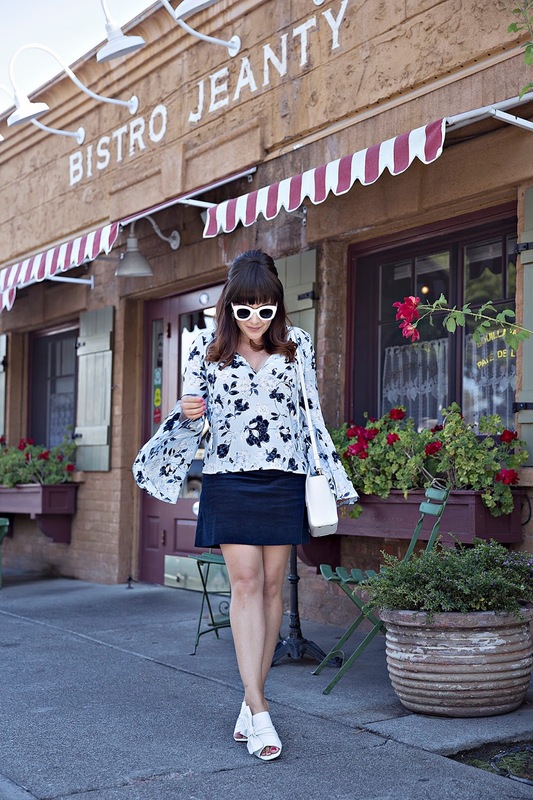 In fact, I loved this top so much, I purchased it in a second pattern (#sorrynotsorry). I paired it with my new favorite skirt for fall, this perfect little A-line corduroy skirt from J.Crew. The final touches were my bright-white accessories, because clearly I don't buy into no white after labor day. 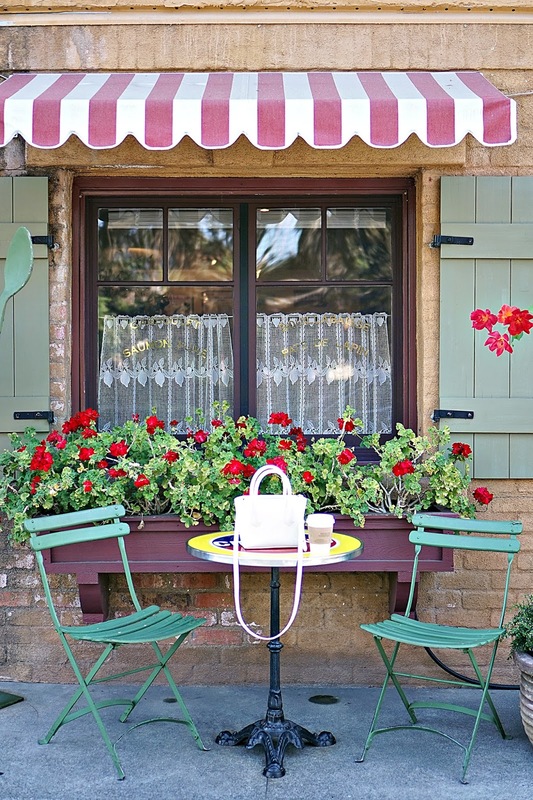 If you are planning a trip to Napa, be sure to add Yountville to your itinerary and definitely indulge in a great dinner while you are there. Also, another tip and something I love about Napa, everyone seemed to always be dressed up. Unless you're planning on hiking, I would skip the spandex and bring your style-a-game to Napa.